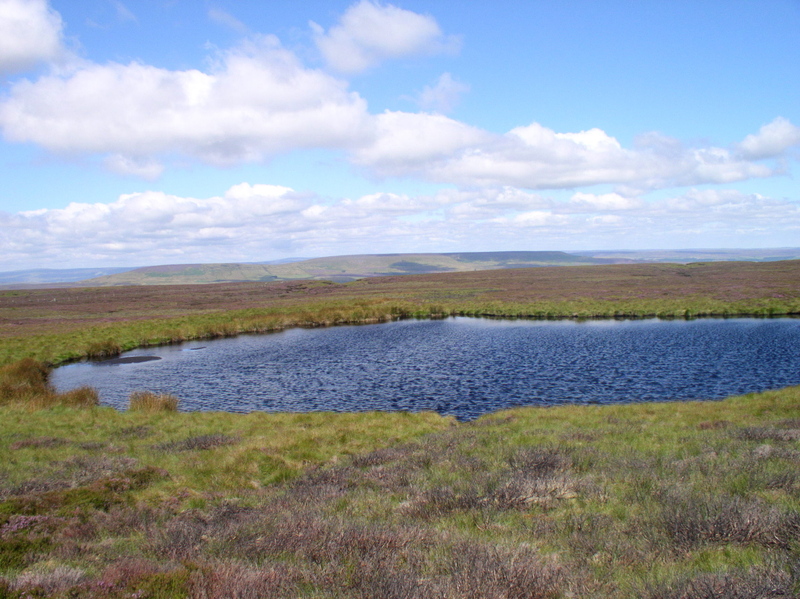 Coverdale Tarn is, along with near neighbour Woogill Tarn, one of two tarns near the summit of Great Haw on the Nidderdale / Coverdale watershed. Coverdale Tarn lies just within the boundary of the Yorkshire Dales National Park whilst Woogill Tarn belongs to both the national park and the Nidderdale AONB. The outflow from Coverdale Tarn flows north into Birk Gill and ultimately finds its way into the River Cover via Caygill below West Scrafton. Presumably it is this connection with the distant River Cover that resulted in the tarn receiving its name. Looking down on Coverdale Tarn with the Yorkshire Dales stretching away in the distance. 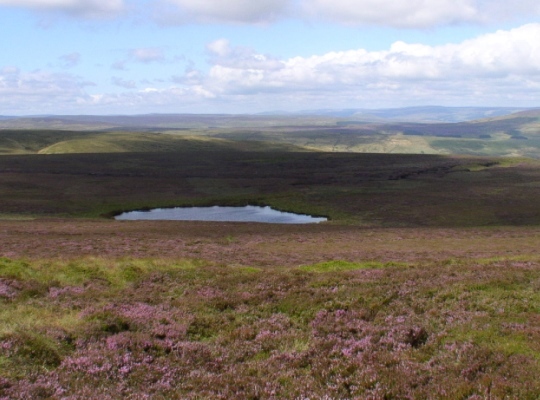 Both tarns are slightly off the beaten path and some heather bashing may be required to reach them. 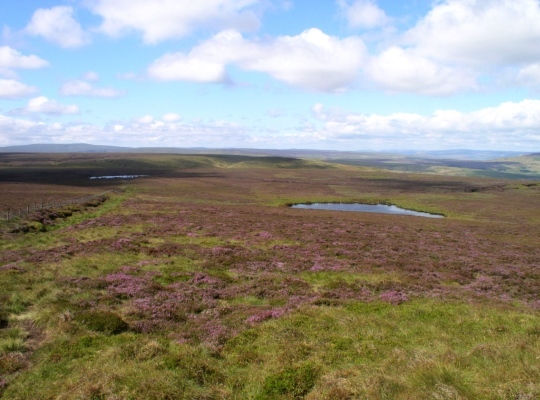 On a late summer’s day when the heather is in bloom and sun is shining it is certainly worth the effort.